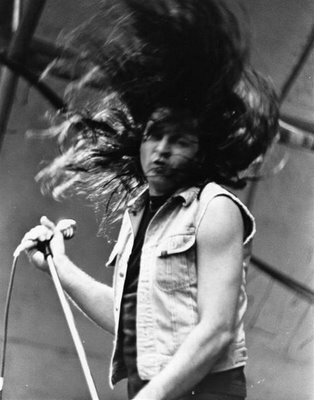 Ian Gillan is an English rock vocalist and songwriter, most known for being the vocalist in the band Deep Purple. He was born in Hounslow, London on August 19, 1945. Ian's early career started with a band called the Javelins which he performed with until 1964 when he joined Wainwright's Gentlemen. Ian's enjoyed a bit of small success with another band called Episode Six in 1965. However, Ian would not achieve national fame until he joined Deep Purple in 1969. It was Jon Lord and Ritchie Blackmore who saw a concert with Ian's band Episode Six and afterward asked him to replace their current singer Rod Evans. Gillan appeared in Deep Purple's albums "In Rock", "Fireball", "Machine Head", "Made in Japan", and "Who Do We Think We Are". During his time with the band, Ian also played the roll of Jesus Christ in the original Jesus Christ Superstar. Ian was also offered the lead roll in the 1973 film adaptation, but would only take the spot if he and his whole band were able to be paid because it would conflict with the tour at the time. Ian's request was denied and the role went to Ted Neeley. 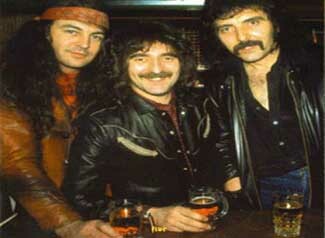 Gillan originally left Deep Purple in 1973 over continued tensions mounting between he and Ritchie Blackmore. He would stay away until 1984, when the original Deep Purple line up reunited to record the album "Perfect Strangers". Both the album and tour were very successful, and inspired the band to stay together. But In 1989, Ian was fired and did not rejoin until 1992 to record the album "The Battle Rages On". During the 1993 tour, Blackmore quit the band forever. Deep Purple continued as a band by replacing Blackmore with Steve Morse, and Ian and Deep Purple are still a band to this day. In response to Blackmore's departure, Ian recently stated that Blackmore had, "turned into a weird guy and the day he walked out of the tour was the day the clouds disappeared and the day the sunshine came out". In addition, Ian said, about the 1993 reunion tour, that Blackmore asked for 250 thousand dollars to be sent to his account or else he would not continue. Blackmore has denied this claim. In 1975, Ian formed his own line-up called the Ian Gillan Band. They started as a jazz-rock band, but eventually morphed into something different. Ian created a whole new line-up and shortened the band name to Gillan as well as changed their music genre. Gillan became a known UK band for their hard rock songs "Glory Road", "Future Shock", and "Double Trouble". In 1982, Gillan announced he was leaving the band to let his damaged vocal cords rest. 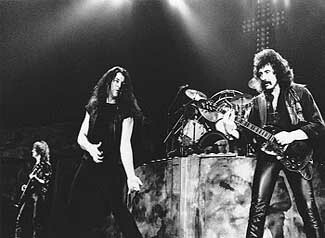 In 1983, Ian joined the rock supergroup Black Sabbath, after Ronnie James Dio left the band. His stint with Sabbath was short lived, however, they produced what many consider to be a classic album. 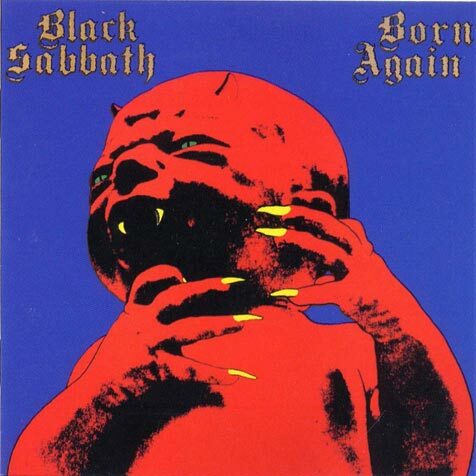 The recording was called "Born Again" and was a major let down for Ian from his vocals, to the album's mix, to the album cover (a demonic baby).  In the 1992 VHS movie, The Black Sabbath Story, he said "I was the worst singer Black Sabbath ever had". Many fans would disagree. In April 2006, Ian released a CD project that documented his 40-year career and called it "Gillans Inn". Tony Iommi, Jeff Healey, Joe Satriani, Dean Howard, as well as all of the current band members in Deep Purple such as Jon Lord, Roger Glover, Ian Paice, Don Airey, and Steve Morse are featured on the CD and DVD. In March of 2009, Ian released his most recent studio solo album "One Eye to Morocco".